Back in 1978, on Christmas Eve, a group of musically-minded souls from the hills surrounding Occidental, California, gathered around a bonfire in the center of town to sing carols. We didn’t want to go home so we started a choir on the spot and gave our first concert the following May. We've been writing our own music since the early days, and twice a year we produce unique concert experiences that combine humor, storytelling, poetry, varied instrumental accompaniment, and an ecclectic and eccentric choral repertoire. Now we're approaching our 40th year and we want to do it up big! We're inviting our 325 alumni to come back and sing with us, and inviting our West Sonoma County fans to come and listen. Both our winter and spring concerts will be full of songs from our own composers (we've written some 450 songs! ), and we're planning to tape both the winter and spring concerts to share. Recording ($500) and mastering ($500) the songs , then duplicating ($500) the CDs is not an inexpensive proposition, and that's what our GoFundMe page is all about. 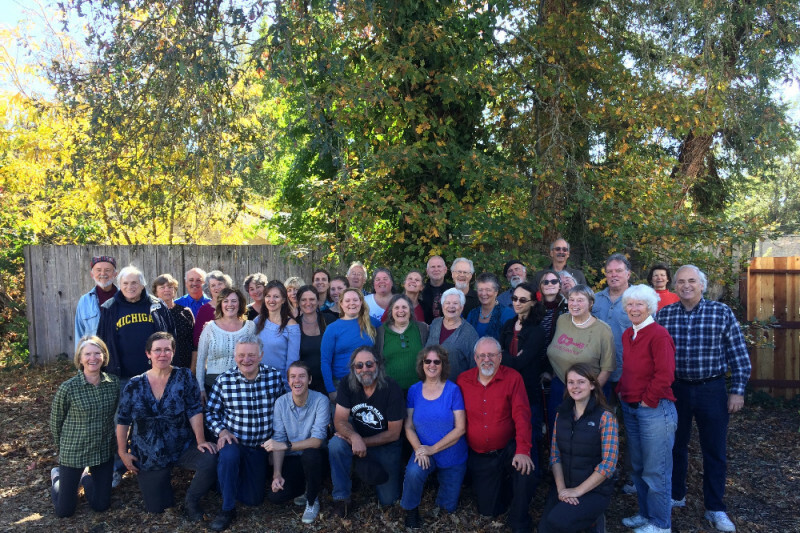 The Occidental Community Choir is unique in its approach to music education: we continue to mentor and support one another in developing our skills as lyricists and composers — well as singers. Our music encompasses a wide range of personal experiences and reflects the authentic connection we have with one another and the local community. We'd be grateful for your support in sharing our music!